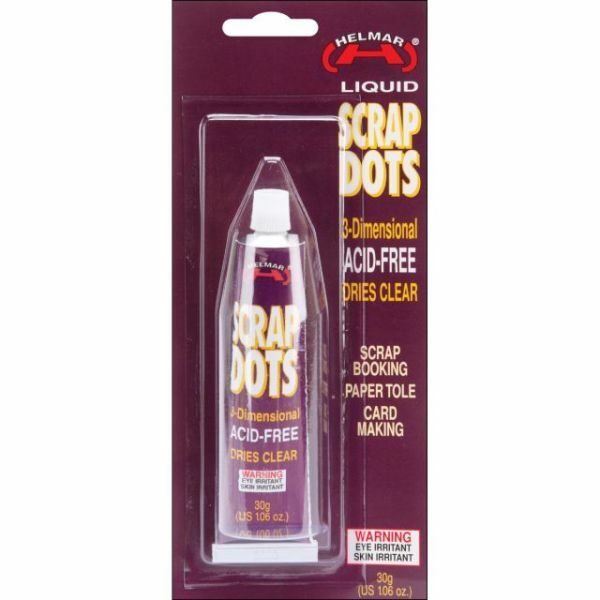 Helmar Liquid 3D Scrap Dots Adhesive - HELMAR-Scrap Dots 3D Liquid Adhesive. This product will give a clear and three-dimensional effect for scrapbooking, card making and other craft projects! Unlike pre-cut mounting tapes, this product can be applied in any size needed. This package contains one 1.06oz tube of liquid adhesive. Conforms to ASTM D 4236. Imported.